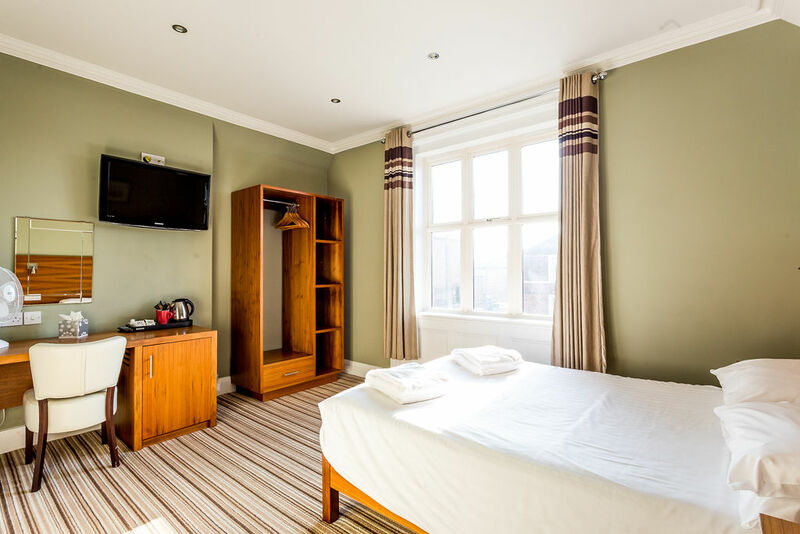 The spacious bedrooms at the Bawn Lodge Hotel all include a modern en-suite shower room, 32” LCD TV, complimentary tea and coffee facilities, refrigerator, hairdryer and ironing facilities (upon request). A freshly prepared, traditional Full English breakfast is included with your stay at the hotel, along with a selection of cereals, juices, fruit and yoghurts, the ideal way to start your day before investigating the stunning city and surrounding areas. Free off street parking is available – on a first come, first served basis – at the rear of the hotel and free Wi-Fi runs throughout the hotel. If you are looking for affordable, comfortable and well equipped accommodation close to the heart of Chester with everything you could need on-site, there is no better option than The Bawn Lodge.